Content experience software enables companies to create personalized experiences geared toward audience engagement. These tools first provide features focused on the centralization and organization of marketing assets via tagging and categorizing based on audience or use case. Once content is organized, content experience products offer personalization functionality to create custom experiences for audiences with the intent to generate specific business outcomes. These outcomes can include capturing leads, scoring leads, or driving people to a contextual call to action, among others. Content experience software can also offer distribution features and analytics to track content performance and audience insights. Used by content marketing teams, these tools help businesses drive true value from their content and interactions with audiences, pushing them to actively engage. Content experience software is often used alongside other content marketing tools, such as content creation software and content distribution software. Content Experience reviews by real, verified users. Find unbiased ratings on user satisfaction, features, and price based on the most reviews available anywhere. Showpad Content bridges the gap between sales and marketing by creating one centralized location that lets sellers discover, present and share the latest, on-brand content in visually engaging experiences. Rather than just pitch products, your sellers can have more relevant, value-driven discussions using interactive, consumer-like experiences that guide buyers to solutions and content that match their specific needs. Showpad Content is part of the Showpad Sales Enablement Platform, combining interactive selling experiences with industry-leading sales coaching, Showpad empowers the modern consultative seller to engage with buyers as a trusted advisor. The Showpad Sales Enablement Platform unifies sales content management, training, and coaching into a single user experience. Showpad services more than 1,200 customers across the globe including Johnson & Johnson, BASF, GE Healthcare, Fujifilm, Bridgestone, Dow and Honeywell. Founded in 2011, the company has headquarters in Ghent and Chicago with offices in Brussels, London, Munich, Wroclaw, San Francisco, and Portland. PathFactory’s Content Insight and Activation Platform helps B2B marketers understand the role of content in the buyer’s journey and discover a new class of data to optimize the path to purchase. PathFactory uses this data and insight to optimize content delivery across every channel, connecting buyers with the most relevant information whenever and wherever they click. Content Insight: The path to better marketing decisions To really know if your marketing is working, you need to understand how your prospects are engaging with your content. Unfortunately, most marketers lack objective insight into how their content is moving buyers along the path to purchase. PathFactory provides the decision support required to analyze what is and isn’t working to generate pipeline and revenue, and automates content delivery decisions to remove friction from the buying process. Content Activation: The path to always-on content experiences Buyer education is the key to moving prospects from early stage awareness to loyal customers, but the way most B2B marketing delivers content today fails to connect buyers with the information they need, when they need it. Traditional content delivery methods treat the buyer’s journey as an orderly, linear process when it’s actually a chaotic and messy affair. PathFactory delivers data-driven, personalized content experiences at scale. Connect your buyers with more of the information they need, at the exact moments they need it. The Content Insight and Activation Engine The brain of the PathFactory platform, the Engine gathers external visitor and account data sets, analyzes content using AI, and combines that information with session engagement data to build a full understanding of the role content plays in the buyer’s journey, and its impact on pipeline and revenue. The Engine uses this data and insight to activate content and connect buyers with the most relevant information when they need it. The insights produced by the PathFactory Engine are surfaced in Path Analytics, and provide marketers with a level of insight and decision support never before available. This reporting enables real-time campaign, channel, and content optimization. SnapApp is an interactive content creation platform that enables marketers to boost results by 2-3x across all their existing marketing programs. SnapApp empowers marketers to create, deploy, manage, and measure a wide range of interactive content across multiple channels, with full customization and design control to ensure content looks great on any device. Rather than one more thing to do, SnapApp lets you do more with what you already have – and get better results. SnapApp customers include Oracle, Atmel, Random House, and EMC among others. SnapApp's powerful yet easy-to-use creation tools give you the flexibility to rapidly create amazing content experiences (such as quizzes, assessments, calculators, interactive videos, brackets, and more) without having to manage a custom development process, product planning cycles, or an expensive agency. SnapApp features extensive templates, asset libraries, formatting palettes, and global account settings to speed your time-to-market but still allow for complete brand control. Add in our rich, responsive design capabilities, support for video, and layering structure and you can see why it is so easy for marketers to build pixel-perfect experiences on any device in under an hour. Like many marketers, you already invest a significant amount of time and money in your marketing automation, CRM, CMS, and analytics. SnapApp quickly and seamlessly integrates with your existing systems and tools to extend and enhance their value so that you get the most out of your investments. Easily sync to your existing systems such as Eloqua, Marketo, Salesforce Marketing Cloud, Pardot, HubSpot, Act-On, and more with our simple front-end and back-end API integrations. We empower businesses to plan, create, and publish high-impact content to deliver predictable results. Plan - Build a central content strategy and have it guide everyone on your team who is planning and producing content. Create - Create premium content including infographics, videos, micro content and interactive websites with highly vetted creative professionals. Publish - Create unique, live experiences with UGC, social and original content. ScribbleLive is trusted by over 1200 leading brands, including Red Bull, Oracle, American Express, ESPN, Bank of America, NBA and Visa. Mintent is the only Project Management Tool Built exclusively for Marketers. Mintent lets your team create, manage, and measure all of your marketing projects in one place. It's free for up to 5 users, and up to 20 content items per month. No credit card required. Please inquire about Enterprise pricing. 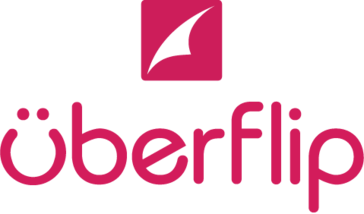 Paperflite is the leading marketing collateral and sales enablement software which allows sales and marketing teams to organize, distribute and share their content. With Paperflite, track your content across its entire journey, get deeper insight into what works best when and know how your prospects engage with your content on multiple channels, so you can instantly engage with hot leads and nurture cold ones. With Paperflite's real time engagement analytics, know how end-users interact with the content, when your content is accessed, viewed or shared, so you always know exactly what to do next. According to analyst research, sales reps spend 20+ hours per month searching, editing, and creating content. At the same time, 65% of marketing-created sales content goes unused. Docurated is an enterprise sales enablement platform that helps sales reps find, customize and share content, while empowering marketing to measure content effectiveness and revenue contribution. Through easily customizable role-based navigation and content pages, marketers can drive sellers to the right content. The unique DocuRank™ AI technology enables guided selling, recommending the most effective content for each prospect and selling scenario such as opportunity stage, industry or persona. By connecting to existing content repositories within an organization, sales and marketing teams can be productive in a fraction of the time of competing solutions. What’s more, with this connected cross-platform approach, Docurated combines analytics to provides a 360° view of content usage, engagement and revenue attribution of sales content. The result is higher win-rates, shorter sales cycles, and marketing teams producing content that drives revenue. Visually helps businesses achieve amazing creativity in their content and connect with their customers. The world’s top brands rely on us for premium videos, infographics, ebooks, presentations, web interactives and more. With over 1000 specialized creative professionals, our clients get access to the best designers, writers, researchers, strategists and developers available, with a wide range of skills to support their business needs. Using our easy-to-use online collaboration platform, clients work closely with their creative dream team and enjoy a high-degree of creative control. And they are supported every step of the way—from talent assignment to creative direction—to create effective content and see incredible results. Zoomforth makes it quick and easy to gather all of your content –from videos to PowerPoints to pricing sheets – into relevant and influential stories for your buyers. Create stand-out content experiences from scratch – no design skills required – and enable your team to customize any part. The Distribion Distributed Marketing Platform (DMP) is a multi-channel corporate marketing automation solution that empowers local sales and marketing agents to access, personalize and send pre-approved brand campaigns. Packaged in a user-friendly interface, marketers now have a single, accessible platform to house all marketing assets, execute end-to-end marketing campaigns and measure impact with real-time analytics and reporting tools. Visit our website, www.distribion.com to learn more and request a live demo. Noosh helps enterprises deliver on Content Marketing game plans by streamlining operations and enabling collaboration with vendors. The company’s products and Marketing Services Partners manage digital and print assets, cost structures, budgets, procurements, projects, and team interaction using an integrated cloud-based approach. Marketers who use Noosh are able to deliver Content Marketing projects at more competitive prices, in less time, and with higher quality. OneSpot is the leading marketing technology company that delivers content individualization across digital channels, enabling brands to deepen their relationship with customers and prospects. Our machine learning-based technology automates individualization so brands can easily transition from segmentation to a true 1:1 content experience, and increase engagement with minimal effort and no ongoing maintenance. OneSpot’s sophisticated technology and best-in-class managed services are used by customers including Nestlé, L’Oréal, Unilever, Ally Financial, USAA, Under Armour, Campbell’s and other leading marketers. Cognitives is your all-in-one solution for managing your marketing content. Aligning your marketing team to drive successful multi-channel marketing, powered by compelling content. CONCURED is the world's first AI powered Content Strategy Platform (CSP) that guides the ultimate strategy that will beat competitors, save hours, harmonise teams and prove ROI. Simplify content management and transform your expertise and know-how into tailored and engaging experiences across multiple channels for internal or external audiences. Monoloop enables organizations to transform a static website into a dynamic and highly personalized visitor experience. vWriter is a content marketing software platform that enables business owners and marketers to systemize, automate and delegate their content marketing activities, and "Be Everywhere" for their target market. Imagine for example if every time you publish say a new blog post, a huge network of content spread across the web, all linking back and driving traffic to your business. This is what vWriter is designed to help your business with. Here's some of what vWriter can do: - Systemize content creation: have a regular outflow of content based on your requirements, and delegated to your in-house team, outsourced staff, or hire writers directly through the platform. Manage your entire content repurposing funnel, with automated delegation, task assignment delays, completion deadlines, and more. - Automate content distribution: the content you create can be automatically published to social profiles, blogs and other authority content sites. - Systemize social updates: as soon as you have content published through a channel, auto-assign people on your team to create social update(s), including multiple Tweets auto-scheduled out over time for maximum exposure. - Grow visibility and traffic with powerful social tools: optimized auto-scheduling to reach your audience when they are most responsive, cross-profile publishing, social management, content curation tools, drip-fed social updates - Build efficiency with team and workflow management tools In effect, businesses use the software to create a publishing system that markets their business around the web 24/7 through the use of content, building their authority, credibility and visibility. See the video at vWriter.com for how this works. Hi there! Can I help you find the best Content Experience solutions?